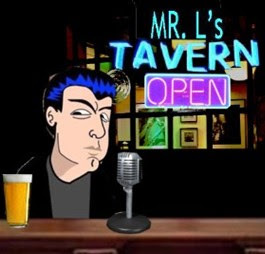 Mr.L's Tavern: Sarah Palin Calls ISIS "Death Cult" & Obama "Impotent"
Sarah Palin Calls ISIS "Death Cult" & Obama "Impotent"
Thirteen years after the 9/11/2001 attacks and it appears that America hasn't learned a damn thing. Beheadings, threats...oh my... the Department of Homeland Stupidity still will not acknowledge the threat of Islamic terrorism in America. Why does Obama call ISIS "ISIL"? Sarah Palin appears at the United We Stand for America rally in Arizona and calls ISIS a "death cult" and Obama "impotent." The left can prove Obama is pro-American much like they can prove Hillary Clinton has accomplishments.